Developed to provide better economic, environmental, and social benefits in comparison to traditional concrete, SCC’s use has drastically increased since its inception. As the need for more durable and flexible materials increases, SCC gains more supporters in the construction industry. A report on SCC expects its market worth to reach $15.18 billion, with a compound annual growth rate of 5.7% by 2026. These stats further deepen the mystery behind what SCC is, its practical applications, and what the hype behind it is about. Developed in the late 1980s, SCC is a concrete mix designed specifically to encapsulate the reinforcement framework with no gaping holes. The defining quality of SCC is due to its self-compacting and fluid nature. These traits give SCC the ability to maintain uniformity when filled into the framework and compact itself by its own weight. The fluidity helps spread it out with ease into every corner of the framework with minimal to no mechanical assistance. According to published material by the NRMCA, the fluidity of SCC is measured by its ‘spread’ when using a reformed version of the slump analysis (ASTM C 143). The spread (slump flow) of SCC normally ranges from 18 to 32 inches, subject to the requirements of the project. It has a self-capability of reducing air voids when setting. Gravity plays a vital role in lending it the ability of non-segregation while its high workability is owed to superplasticizers and viscosity modifying agents. The use of rounded coarse aggregates of 20mm is ideal for self-consolidating concrete since these aggregates require less cement content. A cement ratio of less than 0.40, along with the use of water reduces admixture or plasticizers and serves to improve SCC’s workability and flow. However it is easier to control when aggregates are smaller in size. This reduces the need for labor and machinery; hence, it is useful when building durable constructions within a modest budget. The SCC mix displays passing ability, filling ability, and a resistance to segregation in comparison to traditional concrete. It also exhibits a higher tensile strength due to the improved interface between the hardened paste and aggregates. However, the end use of the concrete decides whether constructors would opt for traditional or self-consolidating concrete. Self-consolidating concrete is less prone to cracking with similar durability as traditional concrete. Addition of superplasticizers and viscosity modifying agents increase its workability, and since it does not host excess moisture, there is less bleeding, shrinkage, and cracking during curing. SCC allows for quick constructions to take place due to its self-compacting nature. Concrete spreads out quickly unassisted, requiring minimal to no labor. In SCC construction there is a reduced chance for any human errors. It does not require support from mechanical vibrations to fill forms entirely. Its ability to compact the concrete under its own weight saves money from incurring any potential machinery or skilled labor costs. These qualities are suitable when constructing complex architecture on a modest budget. It is recommended for the construction of high rise buildings in shorter construction periods due to its cost effectiveness, and easy functionality. It flows freely, leaving no voids and making it a cheaper and faster alternative to traditional concrete. It is best suited for structural and architectural constructions. SCC improves consolidation on areas surrounding the reinforcements or rebar. Where steel reinforcements are tightly bound or where better surface quality is required, SCC offers a convenient solution. Structures damaged by seismic activity can swiftly be repaired with SCC. It flowability seeps into narrow spaces and localizes damage. This makes SCC effective for the repair of tight and congested areas. SCC has beneficial applications for constructions with congested reinforcements. This makes it useful for building infrastructure in regions susceptible to earthquakes. Its most prominent use has been in building bridges in seismic regions of Japan, such as the Akashi Kaikyō Bridge, which can withstand winds of up to 280 kilometers per hour. Constructions immune to seismicity have some of the most congested foundations, solidified by steel and tightly set structures. Use of SCC reduces any potential issues with concrete placement or consolidation on these tight spots, usually experienced with traditional concrete. Building contemporary designs with traditional concrete can be problematic. Where there are dense reinforcements, traditional concrete faces difficulty compacting through normal vibrations. SCC allows for innovation in architectural designs as it smoothly moves into such inaccessible parts. This eliminates the use of mechanical vibrations and allows constructions previously thought impossible. SCC is used in constructions of large and tall high-rise buildings such as the Millennium Tower in Vienna, which used the latest construction technology of its time. SCC also contributed greatly towards the construction of the 58-story, 974-foot Comcast Tower; 40,000 cubic yards of SCC were used to build the second tallest construction in Philadelphia. The US Mission at the United Nations building of 28 stories, which has won the Concrete Industry Board Grand Awards in 2009, was also built using self-consolidating concrete. Self-consolidating concrete is also suitable for use in bridge decks, tunnel linings, tubing segments, drill shaft columns, or structures with a high rebar concentration. It is effective for use in building concrete lined rock tunneling and earth retention walls. All of these advantages led to its utilization to construct a four-lane highway and bridges for the Sodra Lanken Project of Sweden, consuming up to 19,500 cubic yards of SCC. Constructors are always looking for better flexibility and affordability. 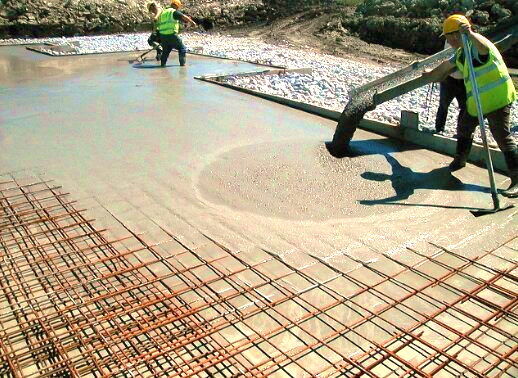 Self-compacting concrete promises cost effectiveness and reliable construction with minimal delays in the process. From highways and high rise buildings, to bridges and tunnels; SCC offers flexibility and creativity.